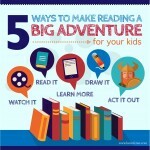 Make Reading a Big Adventure! 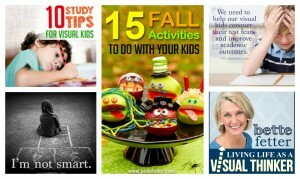 We’re half way through summer (sad) and your kids have either been chipping away at that summer reading list or they’ve been engaged in less ‘academic’ pursuits and you’re feeling the need to get back at it. For most kids, a summer reading list or big stack of books can seem intimidating, even dry, especially for visual learners. This week I found an absolute treasure I didn’t know existed. It is so revolutionary – so remarkable – has such profound possibilities – I can hardly stand it. It is so perfect for visual learners and open up whole new realms of possibility for them. I was at the library cruising the shelves for new books to keep our grandson reading this summer and grew overwhelmed by the volume of titles. So I found the librarian and asked for help finding the right “early readers”. Along with early readers I found a few books my daughter wanted to read with him and I really wanted to find a few audio books so he could do his own reading – by listening. Listening to books can make reading fun, especially for kids that may struggle with language or have trouble sitting still. They allow kids to ‘read’ books beyond their current level, which helps them want to keep reading. 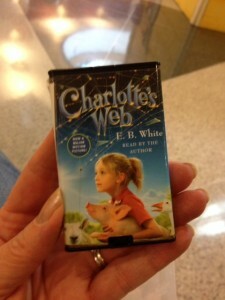 Audio books also let kids kick back, enjoy the story and let their imaginations run free. 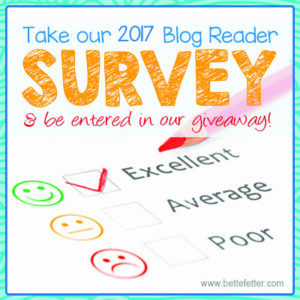 It’s time for the Summer Reading Challenge 2014! If you have a visual learner, a summer reading program may scare you and your child. But reading is an essential skill and you’ll both have to bite the bullet and do it. Never fear – there’s a light at the end of the tunnel…. your local library. They know how to make reading fun for your child, so it’s easy on you. 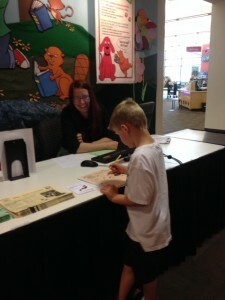 Our local library, like so many others around the country, has a variety of special reading events throughout the summer to keep kids reading. 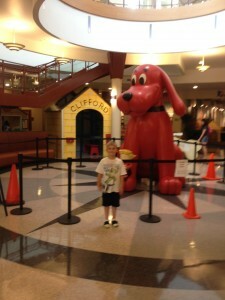 This year our library’s summer theme, Paws to Read, is built around Clifford the Big Red Dog. In an effort to get kids into the library they have a variety of interactive exhibits, game days and special events all centered on Clifford. Defeating the summer slide can be accomplished in a lot of different ways. One of my personal favorites is the summer reading program that is held annually at our local library, Gail Borden. Like most local libraries, the summertime offers a lot of opportunities to engage with kids from the community and build a love of learning (especially reading)! A few weeks ago my sister Diane called to talk about her granddaughter Lanie. It seems her first grade teacher had some concerns about her reading and wanted to meet with Lanie’s mom and dad. They talked as a family about what the stumbling block might be and remembered our conversations about visual learners. 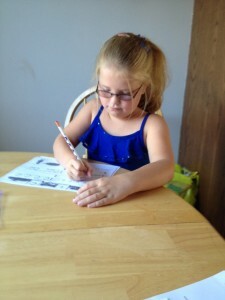 Lanie is a visual learner and she loves to draw. She loves to draw anywhere, anytime, all the time. She takes weekly Young Rembrandts classes at her elementary school. Lanie is a visual learner – but not because she loves art. She’s a visual learner because that is how her brain is wired. 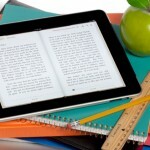 Here are 8 AWESOME apps to help your child learn and enjoy reading! Reading Rainbow: Offers a library of books to users, themed according to a child’s interests (action adventures, magical tales, etc.). 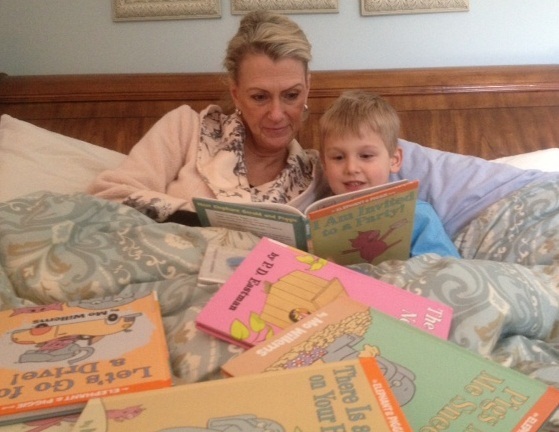 Kids can choose to have a book read aloud to them or to read the book themselves. 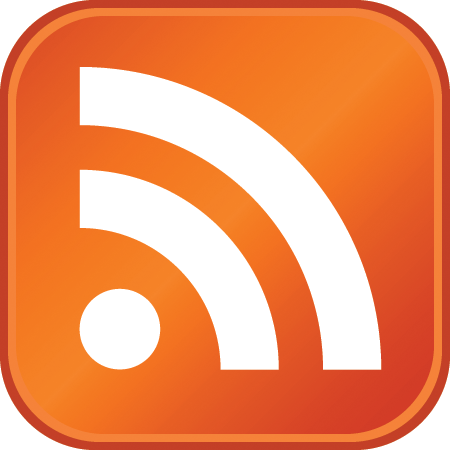 To access more than one book, however, you’ll have to subscribe to the app — a $10 recurring monthly fee or $30 for six months. Starfall Learn to Read: an app version of the stellar learn-to-read website, Starfall. The app has the same content as the “Learn to Read” section of the site. There are 15 mini-books, each focusing on a specific vowel, along with videos and activities to enhance literacy learning. 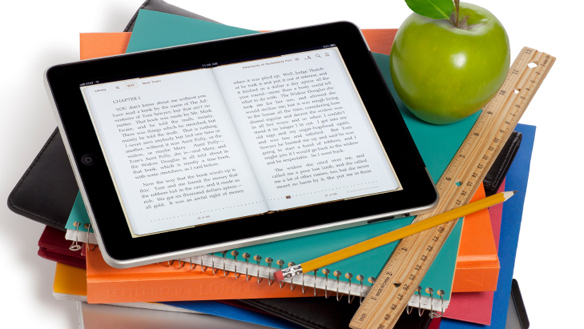 As with other Starfall apps, the thorough and careful design keeps kids focused on learning. Martha Speaks Dog Party: A US Dept. of Education-funded study found target vocabulary improved up to 31 percent for children ages 3-7 who played this Parents’ Choice Recommended app over a two-week period. Includes FOUR fun-filled games starring Martha, the talking dog from the popular PBS KIDS TV series MARTHA SPEAKS(TM). 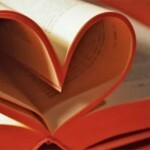 I’m a Library Lover, Are You? 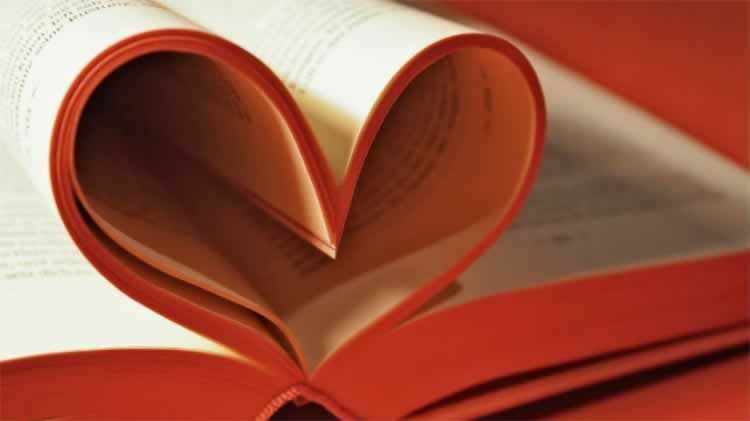 February is Library Lover’s Month and there is no better time to revisit your public library than now. Libraries are one of the best parts of a community. Many are a center for activities, learning and community fellowship. I know our local library constantly has children’s programming, adult services and a lot of activities and space for teens to hangout in a structured safe place. The majority of our students are visual learners, so we need to pay more attention to the development of their visual skills. 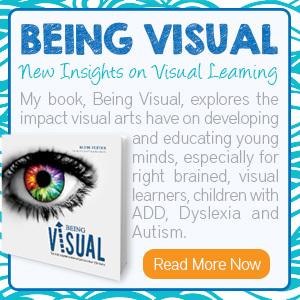 Our schools are very focused on verbal literacy, but visual literacy is essential to success in the classroom, especially for our visual learners. Visual literacy requires us to be able to read, write and interpret visual images, so we need to help our children gain proficiency.